Baby Trust Mukondomi was admitted on the 16th of April (day old) was brought in as abandoned under the care of Social Welfare. On admission the baby had fever and was treated for neonatal sepsis. In the hospital the baby was feeding on formula. 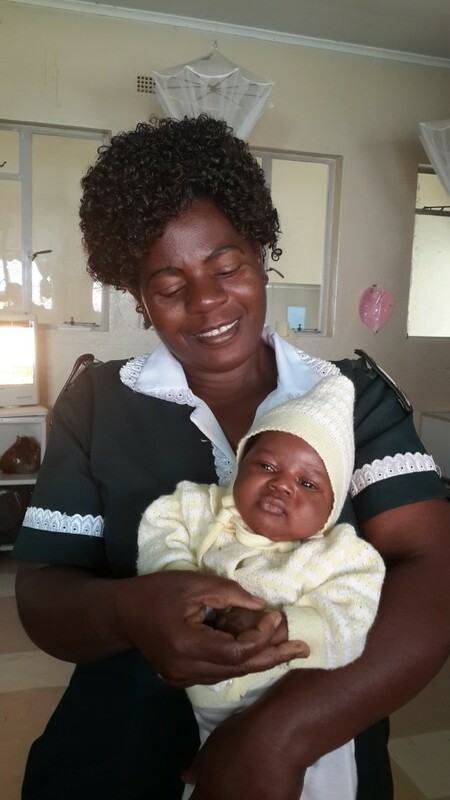 Hospital Dr Munemo, Nurses, Naurse Aide Maambirwi were responsible for the upkeep of the baby. In the process of looking for a fostering parent by Social Welfare, the mother of the baby was found 4 weeks down the line and claimed that she dumped the baby because of social constraints. After thorough assessments of her mental status by the Social Welfare the baby was given back to the mother on 15/05/15. Breast feeding was initiated as the mother HIV status was insignificant on 22 May the baby was discharged home with his mother and lactation had established.